An entertaining yet practical travel adventure series featuring two real-life kid brothers and their parents traveling to well known and off the tourist track destinations. Explore top family destinations, learning all the tips and tricks to traveling with kids. From where to stay, how to get around and where to eat on a budget. 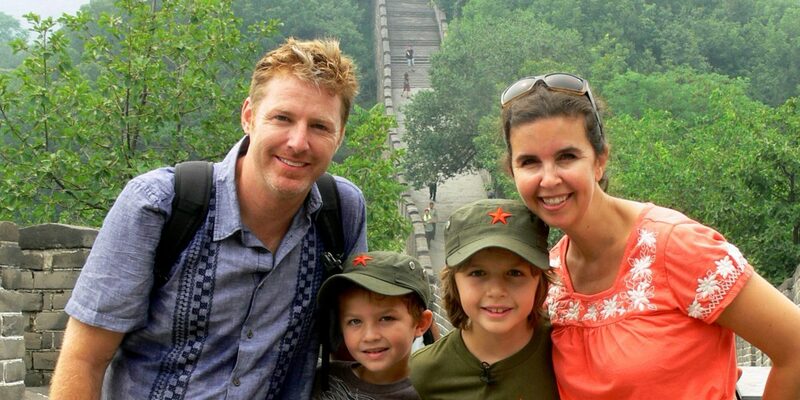 Head out on a family adventure with the Roberts family in Travel With Kids. Packed with the fun and the (mis)adventures that come with traveling with kids, each episode shows viewers what they might expect, enjoy and think twice about doing on a family vacation. Travel With Kids encourages viewers to get out of the resorts and meet the locals, take local transportation and stay at small budget hotels, which isn’t always easy when traveling with kids (“Mom, where’s the T.V. !”) From swimming with dolphins and late night encounters with giant sea turtles, to finding the Mona Lisa and exploring centuries old pirate forts. From searching for “Nessie” the Loch Ness monster, to kissing the Blarney Stone, to snorkeling in underground caves, to just spending a day at the beach with mom and dad. Travel With Kids also presents viewers with the challenges of traveling with kids. From naps and tantrums, where to eat in remote places, to the best places to stay with kids, and how to get around on a budget. Travel With Kids is both entertaining and educational, yet delivers practical travel information that is interesting and useful for families planning a trip, and armchair travelers alike. Presented with additional pop-up on screen facts on the history, culture and travel tips for the destination, the entire family will enjoy watching this adventure travel series. As an executive producer of this series which we distributed successfully to a number of international markets over the prior 6 or 7 years, our challenge was to convince the producer to re-version or re-purpose the show for U.S. public television. This process required the removal of the usual travel-show commercial references to airlines, hotels and tour operators, and the lengthening of the episodes from 25-minutes to about 28 minutes. We put the producer together with the good folks at NETA who provided guidance during this process. NETA was happy with the show, and CREATE picked it up for their schedule, thereby bringing carriage to about 90%. As a result, the producer brought on a handful of small and mid-size tourism sector sponsors, who are thrilled to be affiliated with the show. The show’s website saw a tremendous increase in traffic, and its performance for our digital platform partners like iTunes, Hulu and Amazon Prime has remained steady as well. The success of the campaign has helped the producers to launch their own business as a “boutique” tour operator, with a focus on family travel. The 4th season recently became available to stations. Contact Jeremy Simmons of the production company Equator Creative Media for a referral.